I’ve noticed there is a growing movement among obese people to emphasize being healthy over being skinny as the two are not as inexorably linked as some studies say they are. No doubt the debate over whether you have to be thin to be healthy will rage for many years to come. Here’s an article about one lady who seems to have reached a point of self-tolerance and is happier being chubby than she was trying to be slim. With 329 pounds on her 5-foot, 6-inch frame, Kristie Agee is fat. In a nation seemingly obsessed with weight loss, Nashville, Ky., resident Agee is part of an increasingly vocal number of people who say they’re happy just the way they are. Advocacy groups say obesity isn’t as big a problem as the government, doctors and the diet industry make it out to be and point to the recent downward revision of the number of obesity-related deaths as evidence. The government isn’t budging from its position that obesity kills, but researchers worry that fewer and fewer people are listening. Agee was never the trim kid depicted in most cartoons, and didn’t grow up to look like one of the rail-thin women you see in magazines or on television. She started dieting when she was 8, and, ironically, said that dieting led to much of her weight gain and to her once-dysfunctional relationship with food. She’d feel virtuous when she ate “good foods,” which were usually low fat or low in carbohydrates, depending on the health fad of the moment. 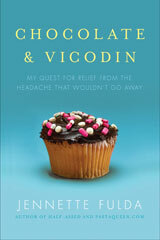 If she gave into temptation and ate a “bad food,” she’d feel an indescribable sense of guilt. Eating a single brownie made her feel like a failure. Because she already had failed, she would go ahead and finish off the pan. Six years ago, she put herself on a strict low-fat diet, exercised 90 minutes a day and dropped from 320 pounds to 200 pounds. She said she looked normal and felt healthy, but still technically had a body mass index — a measure of weight to height — that put her in the dreaded “obese” category. Feeling like a failure again, she gained the weight back plus some more. She saw a brochure for the National Association to Advance Fat Acceptance, a national advocacy group that works to eliminate discrimination based on body size, and credits the group with helping her make peace with her body. 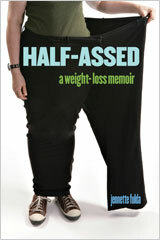 The result of her change in mind-set is that her weight has slowly but steadily dropped from 367 pounds to 329 pounds. She’s obese, but active. More importantly, she said, she’s happy with who she is. Agee considers herself fat and fit. I read once that “you can no more be fat and healthy than you can be wet and dry.” However studies I’ve encountered make the point that an overweight person who eats reasonably and exercises moderatley is more healthy than someone who is naturally thin, can get away with eatring junk and doesn’t exercise at all. the debate continues!